I tried another vilene peony with a slightly different design as I still wasn't happy with the final card I made here. 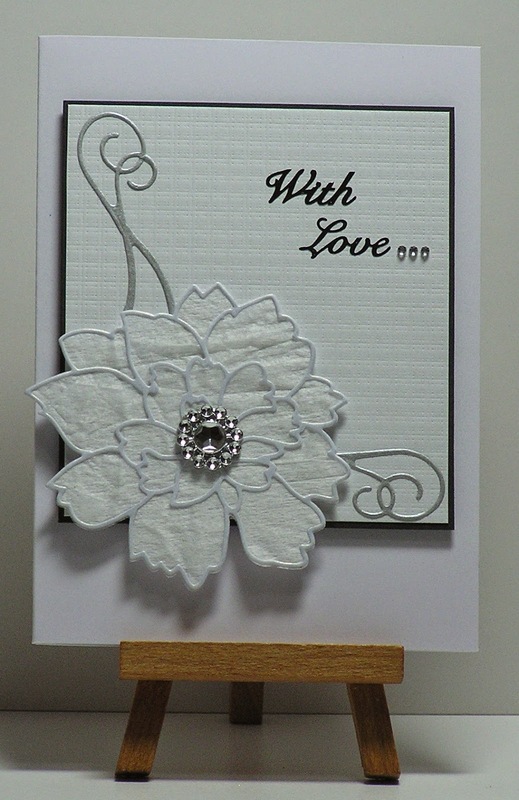 I also revamped the wedding card by repositioning the flower slightly lower and adding another word to the sentiment. I like the balance a lot better now. Both soooooo divine. Love them both. What is vilene? 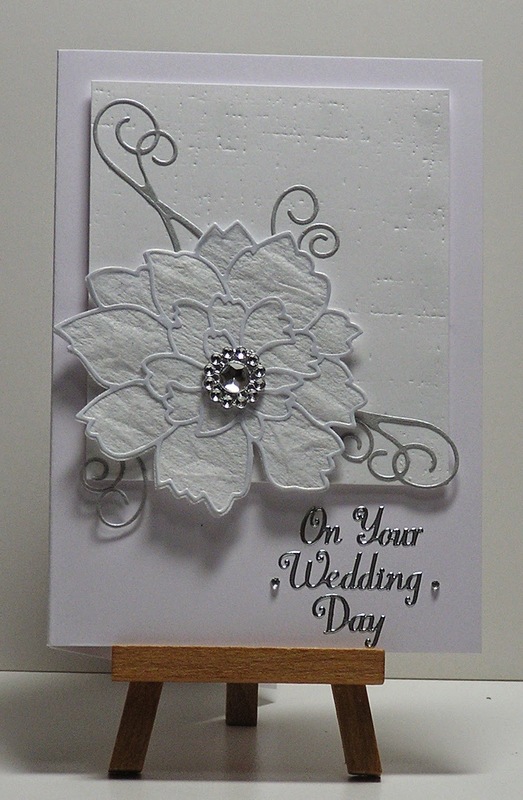 A beautiful wedding card! Balanced perfectly!